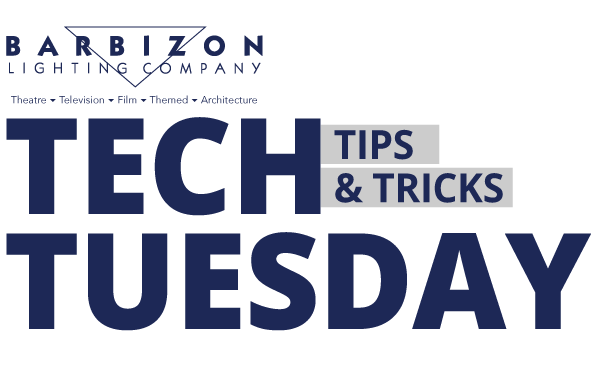 One of our tech services folks in Boston posted a great article to our intranet and we wanted to share it with everyone because it's a great troubleshooting tip to keep an eye out for. "When a tech service call comes in and an end-user says they are having issues with lamps failing sooner then expected, you might recommend that they take a peek and see if they have any bad lamp socket connections. Keep in mind too that arcing from pitted sockets can and will do the same damage to LED retrofit lamps which could be incredibly costly. 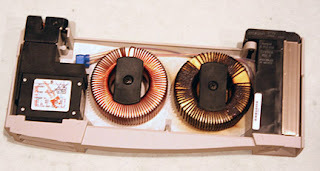 The main issue with arcing is that it creates large amounts of heat and that heat and carbon buildup starts to break down not only the sockets, pins but also the other parts of the circuit even back at the dimmer rack. Often overheating of dimmers is caused by a combination of the heat that has traveled back down the power lines from an arcing lamp or cable combined with the added heat from that dimmer powering that arc." Unhappy dimmer module damaged by heat. If you notice pitting or carbon build-up, cleaning or changing sockets or connectors is recommended. 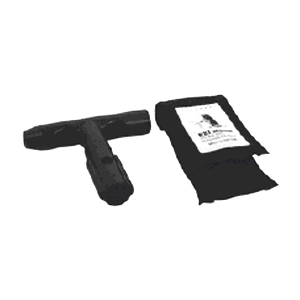 There are also tools like Pin Splitters for stage pin connectors that ensure a snug fit for good conduction. To avoid pitting your fixture and extension cable connectors, refrain from plugging in circuits while energized. 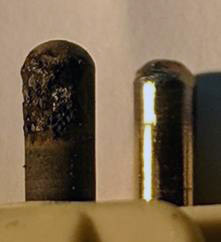 Pitted sockets and connectors can, and will damage LED retrofit lamps, which could be incredibly costly. The onboard microprocessor needs clean power to operate properly and is susceptible damage caused by arcing on a power circuit.